Papa Murphy’s is a chain of made to order take-and-bake pizza stores. The chain is the result of a merge in 1995 between Papa Aldo’s Pizza, which originated in 1981, and Murphy’s Pizza, which originated in 1984. You can find a link for a Papa Murphy’s application at the bottom. The company, which is traded publicly on the NASDAQ as FRSH, currently has over 1400 locations in the United States, Canada, and United Arab Emirates. The business is currently worth over $800 million, and almost all of the stores are franchises. The company is currently based in Vancouver, Washington, United States, and it is the fifth largest pizza business in the country. Menu items available from this chain include pizzas with one of five different crusts, cheesy breads, salad, soft drinks, dessert pizzas, and take-and-bake cookie dough. Customers can order by phone or in the store. Some locations have a drive-up window for phone orders. Since the food is not cooked on site, some states allow the business to accept food stamps or EBT. The business has won many awards including #1 Rated Pizza Chain, from Zagat, Best Pizza Chain in America, from Restaurants and Institutions magazine, Chain of the Year, from Pizza Today magazine, and Franchisee Satisfaction Award, from Franchise Business Review. Papa Murphy’s jobs are desirable for people who would like to work their way up to franchise ownership. Corporate employment opportunities are available with this business, and they accept applications online. Some examples of positions for which they are hiring include Construction Project Manager, Systems Administrator, Director of Learning and Development, Business Systems Analyst, Director of Store Solutions, Ecommerce Senior Marketing Manager, and Market Coach. Franchise opportunities can also be found at the website below. If you are interested in entry-level or in-store jobs at this chain, you can get a printable application form at the website. Fill it out, and take it to your local store, which you can locate on the same site. In-store job opportunities include Crew, Shift Manager, Assistant Manager, and Manger. You must be 16 to work at Papa Murphy’s. This business is a great place to work as a first time employee and gain experience in the working world, and good for those who want to build a career in the pizzeria industry as well. Entry-level employees enjoy flexible hours and a comfortable, safe atmosphere. Store managers and corporate employees get a benefits package that includes insurance, 401(k), paid days off, competitive salary, bonuses, and more. Business hours vary by location, but typical hours are Monday through Sunday 10:00 AM to 9:00 PM, or 11:00 AM to 8:00 PM. Crew – As a crew member, your responsibilities would be to make pizzas, answer the phone, take payments from customers, wash dishes, and clean up. The work is fast paced, but not difficult. Instructions for the different pizzas would be written out for you to follow. Expect to start at minimum wage in this position. Shift Manager – The Shift Manager’ job description is to continue to do the same job as a Crew person, making food and taking phone calls, but also to lead four or five people, keep track of inventory, and handle money deposits. Shift Managers typically make a little over the minimum wage. Assistant Manager – As an Assistant Manager, you would participate in the pizza making and customer service, but have added responsibilities to keep track of inventory and financial numbers, and to motivate the Crew. One year of fast food experience and a high school diploma are requirements to reach this level. $10.00 per hour is typical pay for this title. Manager – The Manager, like other employees, works directly with customers, preps food, takes food orders, and takes payments. The Manager handles any customer complaints. Keeping track of the money and handling advertising and promotions rounds out the job. The Manager generally makes $12.00 per hour or more, and receives benefits. You should be prepared to answer questions such as these at your interview with this pizzeria. Are you a student? This business has plenty of positions available for students and others who have other obligations. Let your interviewer know what kind of availability you have, and whether you are looking for seasonal or longer-term work. You can apply online for careers with this company at the website below. Can you keep your cool when work gets fast-paced? Rush times can get very busy at this popular chain. The work is not complicated, but it moves very fast. Let your interviewer know that you can work efficiently with a smile on your face even when the pace is stressful. How well can you work as part of a team? You can expect to work very closely with the other employees doing this job. You will need to rely on them, and they will rely on you, too. You can get a direct application and find store locations at their website. Have you ever tried our product? Knowing the products that the business sells is a great way to show your interest in the company. It also will help you while you’re working so you can make recommendations to customers. Drop off your resume or your free application from the website at your local pizzeria. Do you need full-time or part-time work? Most positions in the stores involve short shifts of five hours or so, even for managers. If you need longer shifts or full time work, this would be the time to discuss it. A printable application for Papa Murphy’s can be found at their website, below. Once you’ve applied and are being considered for one of the Papa Murphy’s jobs being offered near you, you’ll want to make a good impression at your interview. Since you don’t need previous experience, you’ll want to stand out by showing enthusiasm and a good attitude. You can get a Papa Murphy’s application at the website at the bottom. If you are interested in Papa Murphy’s careers at the corporate level, you can apply for Papa Murphy’s jobs online. Otherwise, you will have to download application form and take it to a store near you. Corporate level interviews will be much more formal. You will need to wear a suit and be prepared to demonstrate your experience. 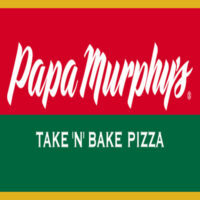 To apply for jobs at Papa Murphy’s, see their website for an online application. Jobs with this company offer an exciting atmosphere and opportunities for advancement. If you would like to know how to apply for Papa Murphy’s online, visit the careers page at their website and get an application form. You can apply for corporate positions at the site, but in-store positions are only possible by taking your application to a pizzeria in person.